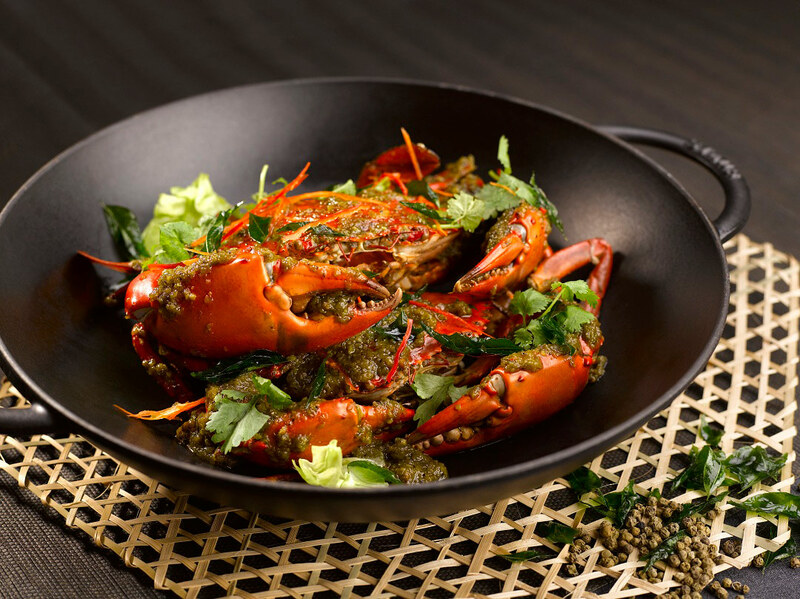 Pepper Crab at StraitsKitchen, one of five dining venues at Grand Hyatt Singapore. 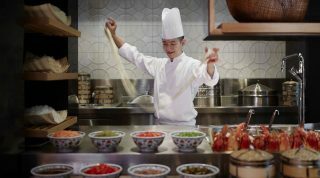 Offering everything from authentic Italian fare to hawker-style favorites, luxury hotel Grand Hyatt Singapore is a dining destination in itself. Lovers of Singapore’s local cuisine will want to pay a visit to StraitsKitchen, a laid-back restaurant that houses Chinese, Malay, and Indian open kitchens. 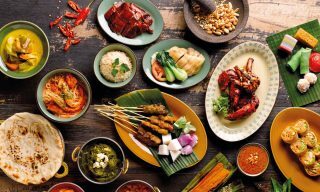 At its heart, the venue is a culinary showcase of the multiculturalism which the Lion City is known for: dishing up beloved classics like Singapore laksa made with sustainable tiger prawns, Malay beef rendang, boneless Hainanese chicken rice, and Cantonese roasted duck. The in-house tandoor oven turns out freshly made naan, seafood, and other Indian delights. At 10 SCOTTS, patrons can indulge in an assortment of cold cuts, artisan cheese, scones, and oysters during afternoon tea, as well as weekly-changing dishes that are flambéed to order. Apart from a wide selection of gourmet TWG tea and organic or single-origin coffee sourced from around the world, freshly squeezed juices and soft drinks are available throughout the day, as are a variety of champagnes, organic wines, and beers. Designed by acclaimed Japanese firm Super Potato, mezza9 houses no less than nine dining concepts within an elegant, contemporary environment. 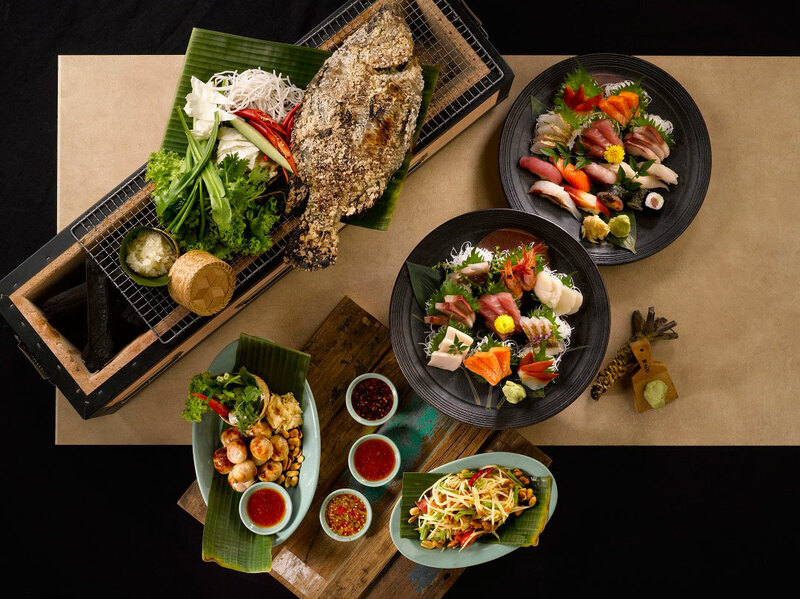 Patrons can expect everything from a Western grill and rotisserie and Chinese steamed delights to Thai barbecue and a sushi and sashimi bar. Other highlights include a delectable Sunday champagne brunch and an intimate gin bar experience by night. Private rooms at mezza9 cater to those looking to host small gatherings. A mouth-watering afternoon tea spread at 10 SCOTTS. Diners at mezza9 can order both sushi and Thai cuisine. 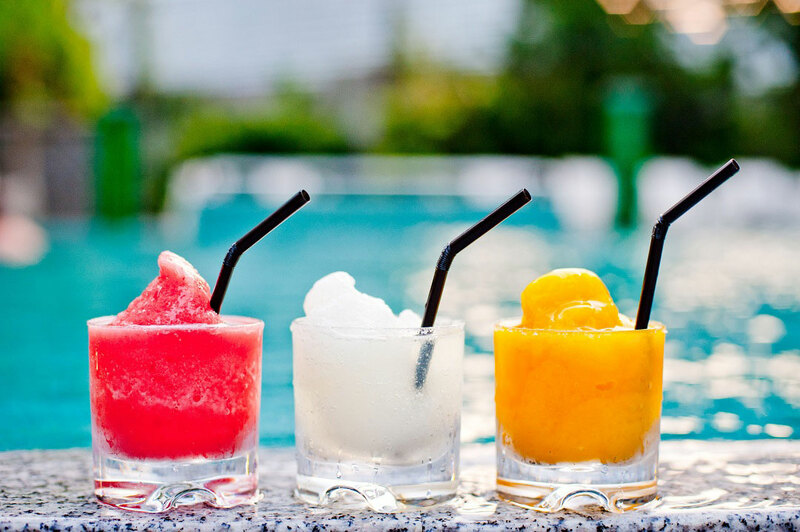 Margaritas by the pool at Oasis. Meanwhile, at the leafy Oasis, guests can enjoy a daily barbecue buffet dinner and free-flowing beverages as they relax by the hotel pool amid the lush greenery. Throughout the day, the inviting, semi-outdoor restaurant also serves fast but healthy comfort food from its à la carte menu. 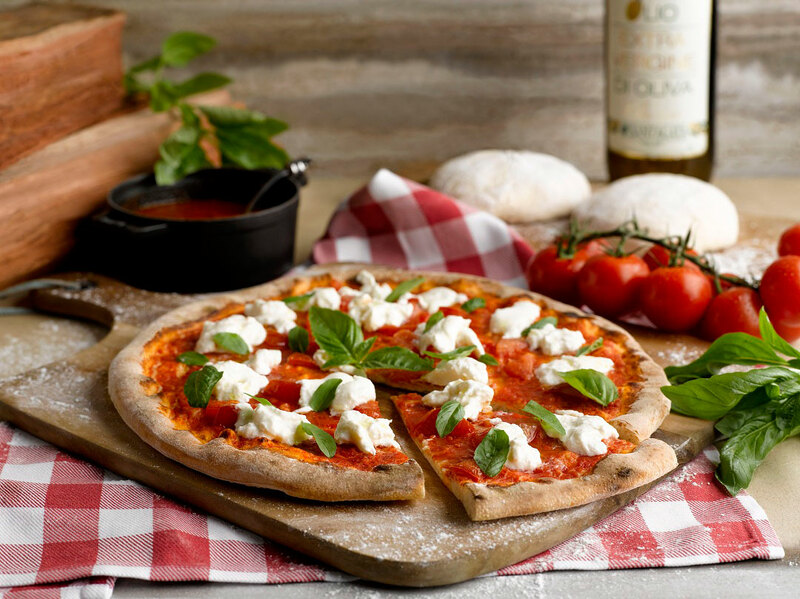 For an authentic taste of Italy, head to Pete’s Place, where homemade pastas and wood-fired pizzas beckon alongside freshly baked goods and an organic salad bar in a warm, cozy atmosphere. Here, the herbs are sourced from the restaurant’s very own garden—which also grows basil, mint, chili, and bananas—making each dish that much more special. 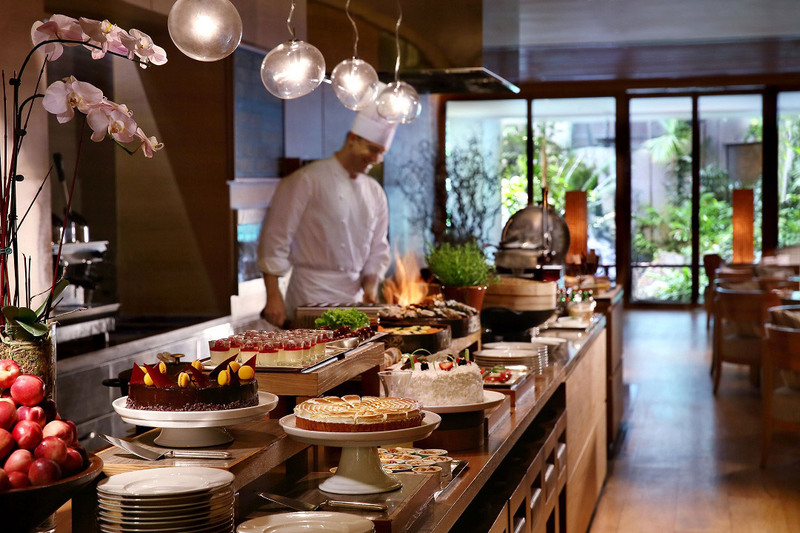 Pete’s Place Sunday Brunch is not to be missed, as it features a mouth-watering array of antipasti, soups, pastas, and much more. What’s more, each of the hotel’s restaurants is committed to reducing its carbon footprint, only using sustainably sourced seafood and organic produce where possible. Health- and environmentally-conscious guests are also well taken care of, as options include sustainable wines and 100-percent organic hot- and cold-brew coffees. This post was published in partnership with Grand Hyatt Singapore. 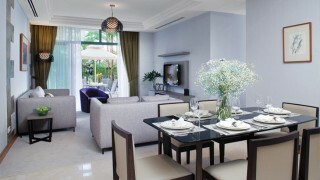 For reservations, call 65/6738-1234, email singapore.grand@hyatt.com, or visit the hotel website. 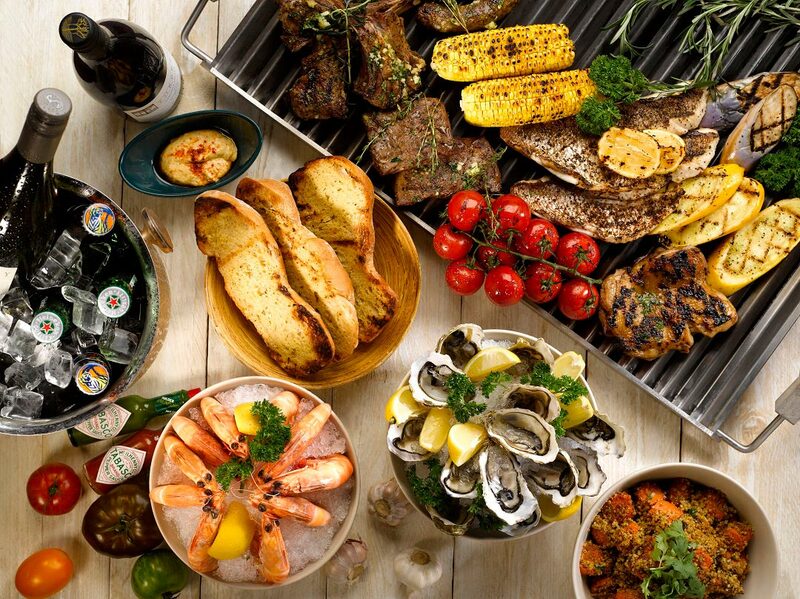 By night, an enticing barbecue buffet spread awaits at Oasis. Pizza burrata at Pete’s Place. 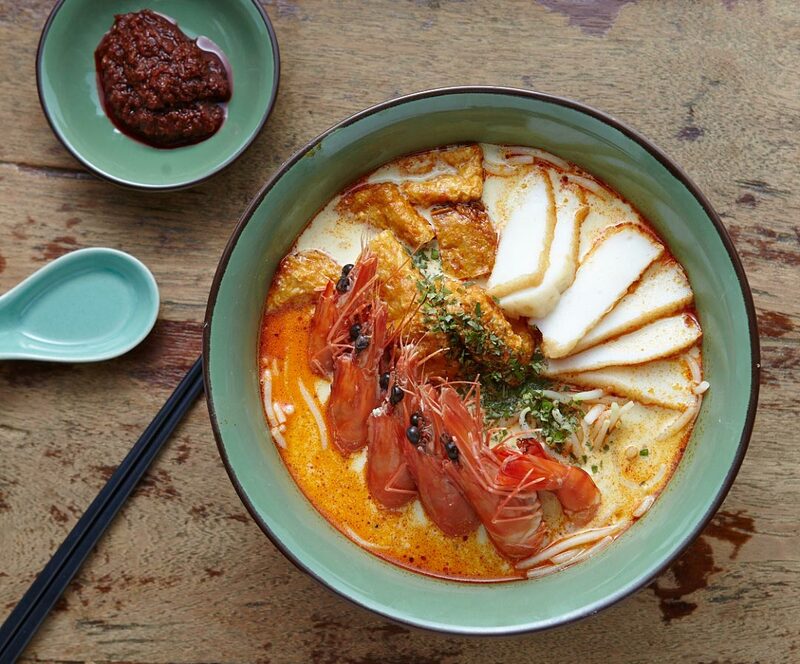 Singapore Laksa, one of the headline dishes at StraitsKitchen.